Hey there genius, PayPal COMPLETELY updated their website. So this post is History . Head over to the Create a PayPal Update . It is a video you can watch. And I also have the download links for it on that page. Simple stuff. Sign up and verify your PayPal account in order to receive payments online. Funds can be withdrawn from PayPal Account to Equity Bank transactional accounts in KES, USD, GBP, or EUR excluding credit cards. If you already have an Equity Bank Account, Click here to link your Equity Bank Account to your PayPal Account.. You can now withdraw from PayPal to Mpesa. 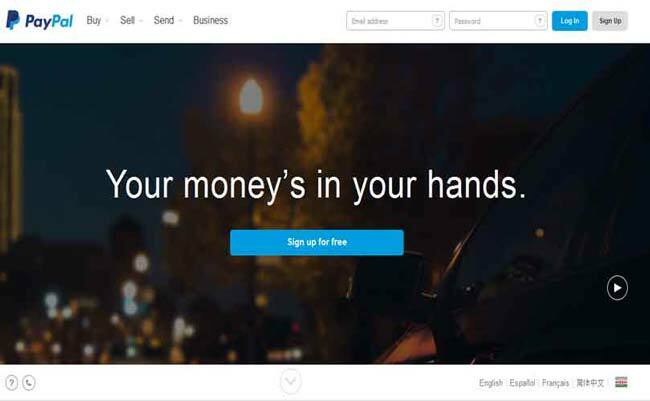 Read more on how to withdraw from Paypal. * Ensure that the e-mail on your Equity Bank Account and PayPal Account are the same. First of all what is PayPal? In the simplest and most comprehensive words, PayPal enables money transfers over the internet. PayPal enables you to make payments and also receive payments online. To read more about how Peter Thiel and his co-founders founded PayPal in 1998 (then Confinity ) and later sold it to eBay in 2002, feel free to read the PayPal Wikipedia page here. In Kenya the one bank that directly supports PayPal withdrawals is Equity Bank (if there are others share with me in the comments below). So if you are looking to serve without boundaries you should set up your PayPal account and get it active using Equity bank. I will give you the step by step process here. You may skip the PayPal registration part in case you already have a PayPal account. 1. Head over to paypal.com and click on Sign Up . 2. As an individual click on open an account as indicated on the image below. 3. On the next page fill all fields with your accurate information. Point to note here, use your true email because it is the way through which you will accept payment and send payments. You will also need to confirm your email so ensure you can access the email you use here. 5. On the next page PayPal will ask for your card details. If you already have an equity debit card (ATM card) you can input the number, if you do not, then skip this step by clicking on Go To My account, which is visible below the form. First step, confirm your email. Log into your email provider (Gmail, yahoo etc), you will see a “Welcome to PayPal” email. There may be a link to confirm your email or not. If the email you receive from PayPal . does not have a confirm button, then ,you will need to copy (Ctrl + C) the confirmation code which has been sent in the email and activate your email manually as explained below. 1 . Back on your PayPal account click on Confirm Email Address on the right side of the screen. As highlighted in the screenshot. 2 . On the next page click on the link that says something like ‘click here if there is no button’ . (I have no screenshot for this. This because my email had the activation link. I therefore have no clear picture of what exactly the words are.) . However , on the same page on the third or fourth line you will see the blue text link. Click on it. 3 . On the next page you will see an input box where you will be asked for the confirmation code you received in your welcome email. Paste (Ctrl + V) the code there and hit enter. Your email has been confirmed. On the next page you will be asked to create a security question, do so. This part assumes that you already have an Equity Bank account and an Equity Debit card (commonly referred to as the ATM Card) Nonetheless, be at liberty to read on even if you lack one. >Either Visa or MasterCard is okay (check your card to see which logo is there on the front of the ATM card). >Your card number is the 16-digit ATM card number clearly written on the front of your equity bank card. >TheSecurity code is the last three digits at the back of your debit card. Once you have entered all the right information accurately, click Continue. After you click Continue, we’ll charge this card $1.95 USD or equivalent to make sure it’s yours. We’ll refund the money into your PayPal account within 24 hours after you confirm your card. 4 . Check with your bank after 24 or 48 hours and ask for your ATM statement, you need the transaction code. Wherever branch you get your statement from ,ask them whatever questions you may have. 5 . Go log into your PayPal account . Click on link and confirm my debit/credit card, follow the steps, confirm the transaction code and finish setting up. Once you are done with all these you are ready to sell and buy online, of course you have to deposit money into the bank account. PayPal currently does not allow for directly adding funds to your PayPal account from Equity Bank, so what happens when you buy anything online or via PayPal? They will charge to your bank account and credit the sellers. For Merchants (Sellers) PayPal transaction fees are 2.4% to 3.4% + $0.30 USD . You can add as many cards as you want. To edit your card details go to Profile > My Money. You can now sell and buy online using PayPal. You can head over to your favorite Freelance Website and sign up and activate your PayPal and start earning online. You are welcome to Leave your comment. Head over to the Create a PayPal Update for 2016 . It is a video you can watch.